The games and competitions keep coming and next up is the Capital One Cup third round tie against Wigan Athletic. I am not going to be able to go into much detail about what this game potentially holds, with both teams expected to make at least a few changes to their starting elevens, but I will give it a go. I have to say I am fond of Wigan, a Northern club who came all the way through the divisions to reach the top division, stay there for a while and then beat one of the best teams in Europe to win the FA Cup, what a brilliant story, saying that we owe them one and whatever team we put out I hope we smash them. Wigan have had a patchy start to the season and have not really impressed, when I have managed to catch a few minutes of them here and there they have looked mediocre and the good brand of football they used to play under Martinez seems to have somewhat disappeared under what I consider to be a terrible manager in Owen Coyle. Earlier I was reading an article where Owen Coyle was moaning about having to play too many games in a short space of time and basically that this is going to force him to make changes to his team against City, I agree with him I think it is wrong. Teams shouldn't be forced to come and play a top team like City without any time to prepare after playing in Europe and domestically, the chances of them being able to compete are cut right down and it does not help to make these matches attractive. So we know Wigan are going to ring the changes but what about our beloved City, well we are certainly going to make changes but fortunately enough for us we can replace class with class. After working hard to secure a very important win against Utd, Pellegrini will be keen to give his first choice players a break as well as trying to ease people into the first team picture. The likes of Richards, Jovetic, Pantilimon and Lescott are expected to come into the 'weakened' starting eleven and get the chance to impress the manager. It is going to be hard work to try and pick the possible line ups, I am hoping to see a few youngsters playing for City but I will mostly go with players from the first team squad for now, so bear with me. Demichelis (knee) is out, Clichy and Silva (both thigh) have both been training but it is unclear whether either player will be quite fit enough to make an appearance, Rodwell missed the derby with a knock and may come back into contention. Long term injuries to Ivan Ramis, Gary Caldwell and Ali Al Habsi mean that they miss out, Grant Holt is struggling with a knee injury and is unlikely to take part, Marc-Antoine is struggling with a hamstring injury and Shaun Maloney is doubtful with a back problem. Possible Man City Line Up: Pantilimon, Richards, Boyata, Lescott, Kolarov, Milner, Garcia, Rodwell, Evans, Jovetic, Dzeko. Possible Wigan Athletic Line Up: Nicholls, Crainey, Garcia, Buxton, Mustoe, Espinoza, Gomez, Beausejour, McCann, Dicko, Powell. Obviously a shot in the dark when it came to the two teams, please feel free to have your say on what the line ups could be. 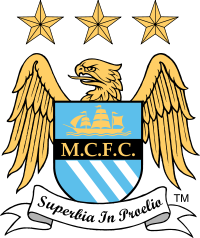 My Prediction: Man City 3 - 0 Wigan Athletic. Worth A Bet: Jovetic scores the first goal in 3 - 0 Man City win @ 25/1. Thanks a lot, that means a lot to me it really does. I hope you do come back and weigh in with your opinions because that's what my blog is here for, no rights or wrongs just opinion, thanks again that was very refreshing for me to hear. P.S. sorry for late reply been at work. Aston Villa 3 - 2 Man City - BAFFLED!